tracking ALSEP at 02:03:22 10 February 1974 (GMT/UTC/Zulu). The ALSEP signal trace is arrowed. Click on the image for a larger version and some comments from Hamish. Hamish was born in London and was raised in Hobart, Tasmania. 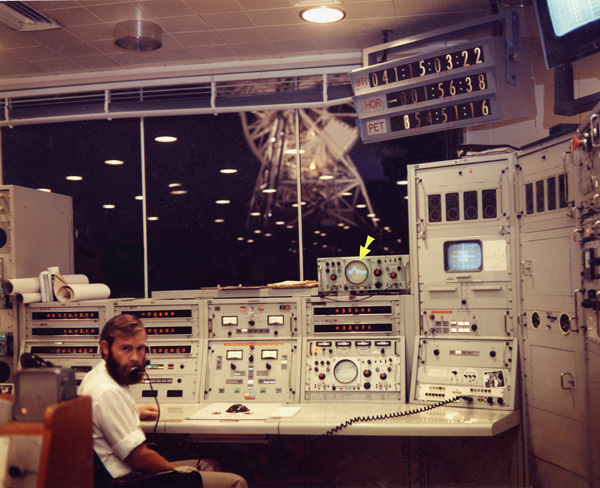 He joined the NASA space program in 1963, specializing in Timing, Voice Communications, and Ranging at the Muchea Tracking Station during Mercury, at Carnarvon for Gemini, and at Honeysuckle Creek for Apollo. He continued at Honeysuckle until the station was closed in 1981. He now works for the Australian High Court in Canberra. Hamish is the author of Tracking Apollo to the Moon, a superb account of the space program with emphasis on the work of the tracking network. 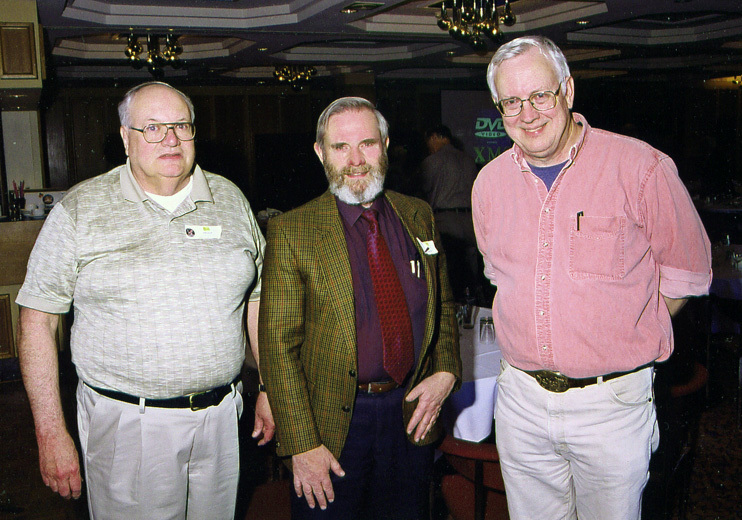 with Goldstone veteran Bill Wood (left) and ALSJ Editor Eric Jones (right).